The final version of Apple’s next mobile operating system — iOS 11 — is available now. It comes with slew of new features for the iPhone 8 and 8 Plus, iPhone 7, and tablets like the 10.5-inch iPad Pro and 9.7-inch iPad, including peer-to-peer transactions with Apple Pay, a redesigned App Store, and a new augmented reality platform. So what’s new in iOS 11? Here’s everything you need to know. The new system, iOS 11, drops all support for 32-bit devices and apps, meaning iPhones and iPads incompatible with 64-bit architectures are no longer supported. That includes the iPhone 5 and iPhone 5c, as well as the original iPad Mini. If you aren’t in that boat, here’s how to install iOS 11 on your device: Go to Settings > General > Software Update, then tap on Download and Install followed by Install Now. For more thorough instructions, follow our iOS 11 download guide. 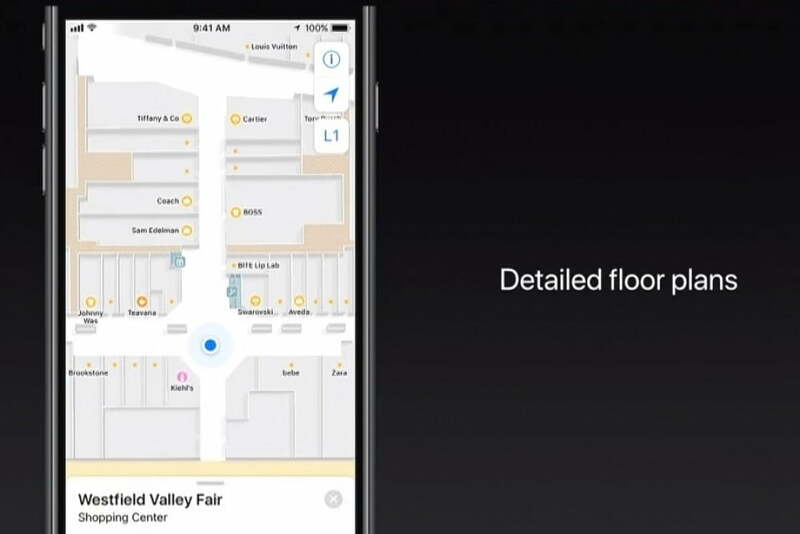 When Apple took the wraps off iOS 11 in June 2017, it highlighted indoor maps, a new feature of the Maps app that adds floor plans for popular venues. In airports, you can zoom in to view security checkpoints, terminals, restrooms, stores, kiosks, baggage claim carousels, parking garages, and even stairs and escalators. In malls and airports, you can browse by floor, or search for shops, drinks, and food. Tapping on a restaurant pulls up a place card with photos, hours, reviews, and walking directions, and selecting a store lets you filter by categories like clothes, shoes, accessories, beauty, and more. Indoor maps were initially limited to select airports and shopping malls in Amsterdam, Berlin, Boston, Chicago, London, Los Angeles, Miami, New York, Philadelphia, San Francisco, Tokyo, Toronto, and the Washington D.C. area. Apple added indoor maps for Philadelphia International Airport, Mineta San Jose International Airport in California, Westfield Valley Fair in San Jose, California, and Westfield San Francisco Centre in San Francisco, California, in October, and says that more are on the way. 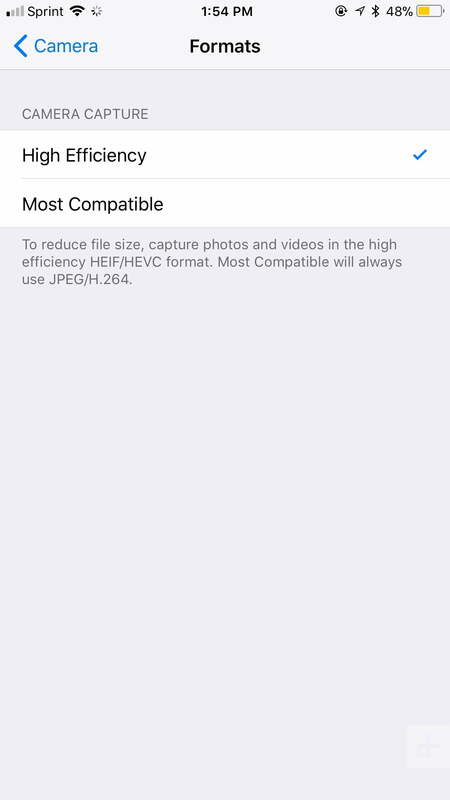 With iOS 11, you’re able to save your photos and videos under new storage-saving file formats. HEIF (High-Efficiency Image Format) has twice the compression effectiveness of JPEG, for example. 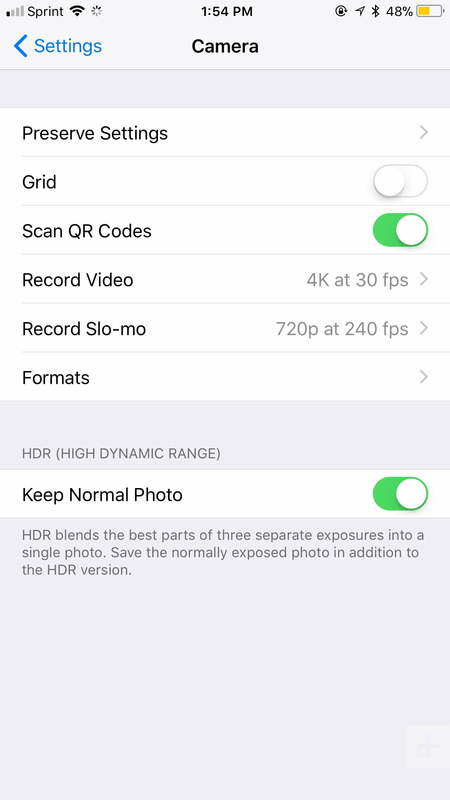 And when you shoot 4K video, iOS 11 will automatically default to HEVC (High-Efficiency Video Coding). By using both formats, you’ll free up more storage and data without compromising the quality of your footage. To turn your iPhone on High Efficiency, go to Settings > Camera > Formats and check off High Efficiency. Your images will now be saved as HEIF and movies as HEVC .mov files. If you want to know more about these two formats, we break it down in our HEIF and HEVC guide. Live Photos is one of the most recognizable features of iOS 11, and now it includes effects like the ability to make your photos “loop” or “bounce” or create a long exposure. We explore these camera effects in greater detail here. To accompany Portrait Mode, which debuted on the iPhone 7 Plus, iOS 11 includes Portrait Lighting. 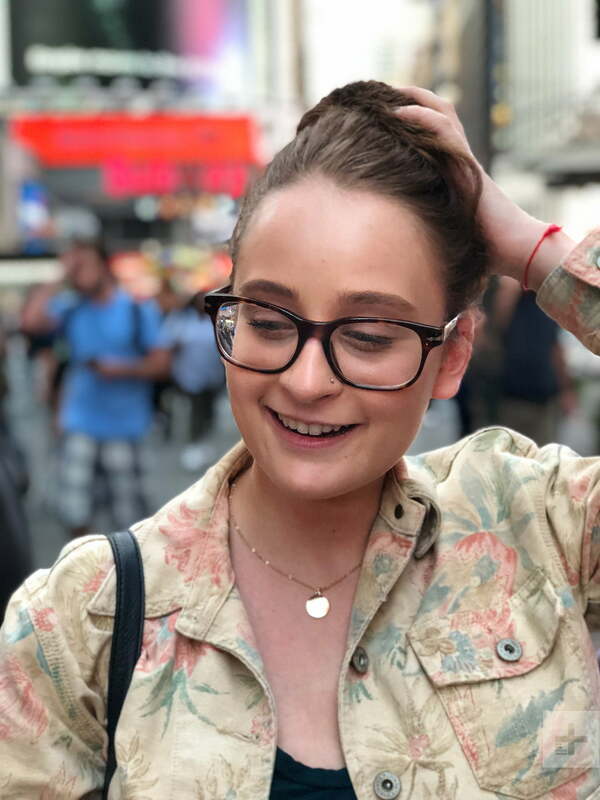 Portrait Mode blurs the background of a subject for a cool blur (bokeh) effect. Portrait Lighting goes a step further: Using the depth map captured by the dual cameras, it intelligently replicates studio lighting by contouring the human face. You’re able to replicate lighting that would normally require an entire setup of lighting equipment along with photo editing software. To use Portrait Lighting, open up the iOS camera app and swipe to Portrait mode. When the lens recognizes a face, tapping on the screen will bring up a menu of features with various lighting styles. 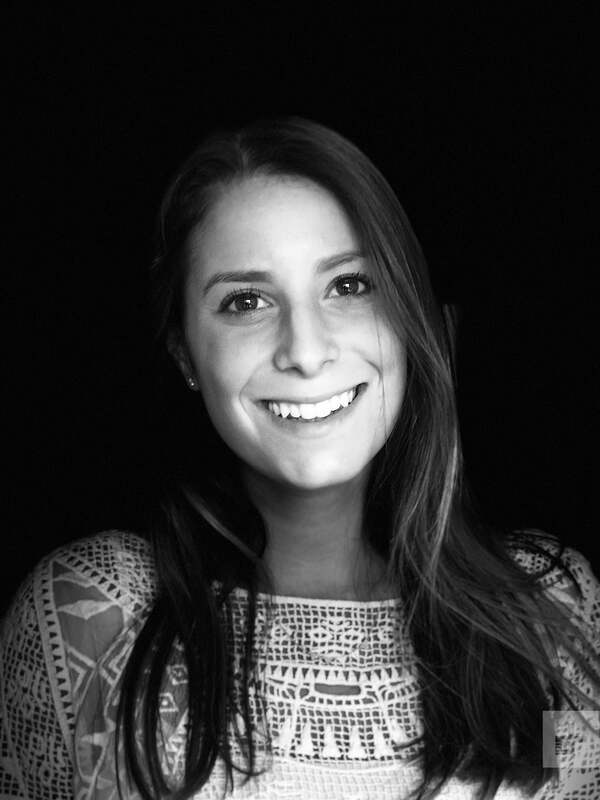 You can choose between Studio Light, Contour Light, Set Light, Set Light Mono, and Natural Light. Portrait Lighting is currently still in beta, so you won’t see it available in your camera app yet. Apple released Portrait Mode a month or so after the iPhone 7 Plus launch, and we expect the feature to come in October or November. 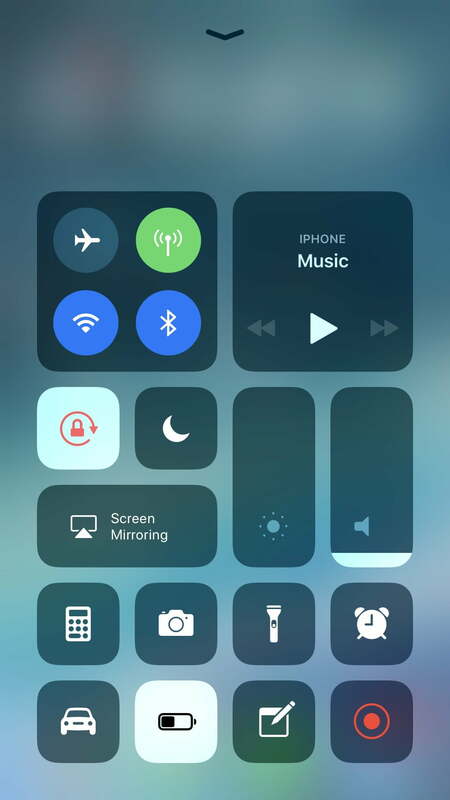 The Control Center received a major facelift in iOS 11, with a new, larger interface that takes up more of the display but also contains every function on one page. You no longer need to swipe back and forth between panels to access all your device’s settings and you can use 3D Touch to dive into deeper options. A force touch on Music currently playing will bring up a progress bar, as well as the skip and pause buttons. The music widget in the control center is highlighted blue in the right-hand corner, indicating that it’s connected to Bluetooth. The 3D touch on the music widget shows what song you are playing, along with the album artwork, and it also shows up when you pull down the cover sheet or on the lock screen. As for Bluetooth and Wi-Fi, they stay enabled with Airplane Mode through the Control Center. Even when you disable Airplane Mode and turn it back on, iOS 11 remembers to enable Bluetooth and Wi-Fi as well. But toggling Bluetooth and Wi-Fi “off” in the Control Center doesn’t fully turn them off — it only disconnects them. 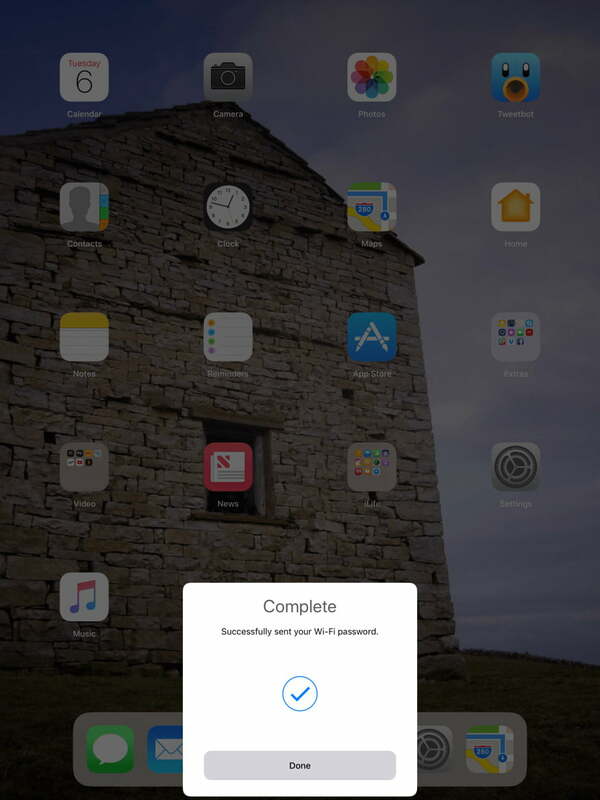 This means your iPhone is still able to connect to features like AirDrop, Locations Services, and AirPlay, along with your Apple Watch or Apple Pencil. If you want to turn them off completely, you have to use the Settings app. The notification center has been similarly overhauled. 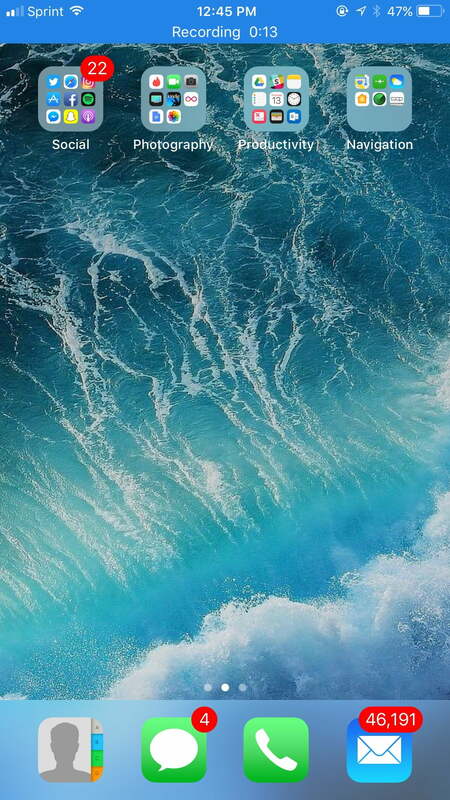 Pulling down the status bar will now lead to the same interface you are presented with on your lock screen but will show you of your notifications, with less recent ones toward the bottom. You can clear or view them by swiping the notification to the left. When tapping on view, you receive another notification prompting you to use Touch ID or your passcode to open the specific app. If you don’t want to use the clear or view options, you can also open each one by swiping fully to the right or clear it by swiping fully to the left. In iOS 11, the App Store received its most significant redesign since its launch nearly a decade ago. A new Today tab serves as the store’s home page, calling attention to new experiences and software. There’s also a Games tab, making it much easier to access the App Store’s most popular category. Another welcome change? 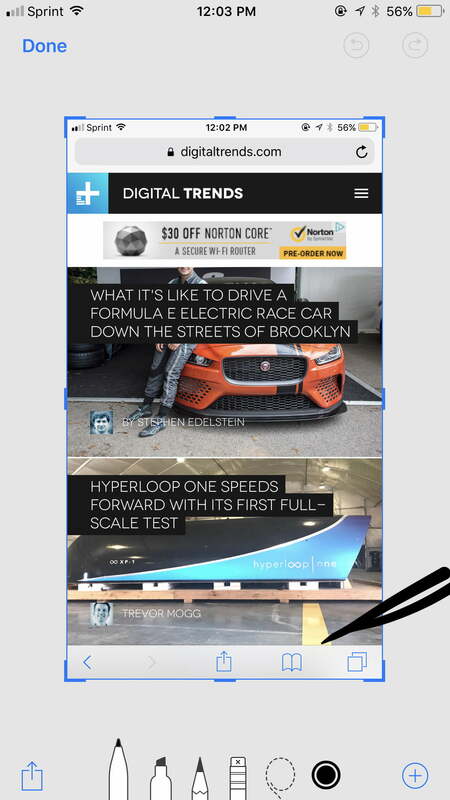 In the Updates tab, you can now check for recent ones to existing apps by pulling it downward to refresh it. You can read more about the improvements to the App Store in our breakdown. By tapping the power button quickly five times, you’ll be able to call 911. It doesn’t start dialing right away, but gives you the option to call. It will also disable Touch ID temporarily until you type in your passcode. Under the Settings app in the General section, you can tap on “About” to see the total amount of storage the device has instead of the amount available (minus the operating system). 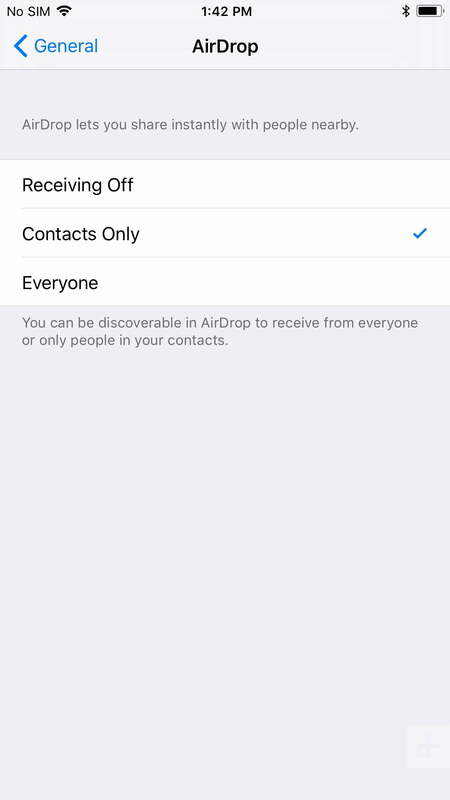 There’s also a new section for AirDrop that switches between “everyone” or “contacts only” share menus. As for brightness settings, you’ll see the Auto Brightness toggle has been taken out from the Display & Brightness section. It’s now under General > Accessibility > Display Accommodations. With iOS 11, Apple streamlined the screenshot-sharing process and gave users the ability to record their screen. 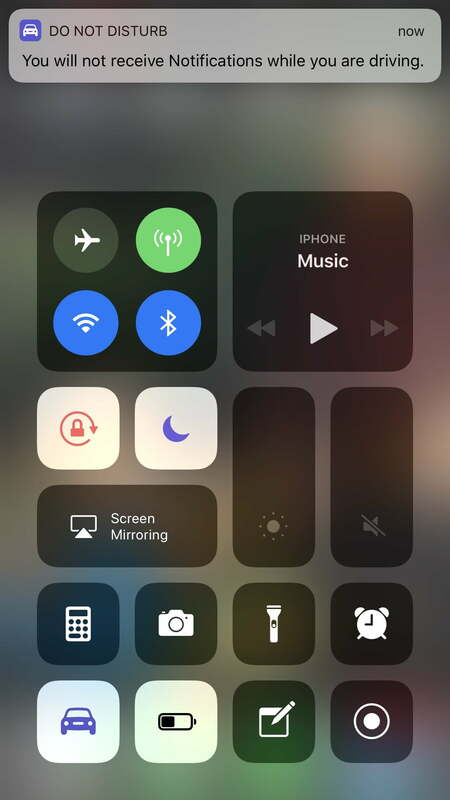 The screen recording icon includes a countdown before starting to record while in the control center. 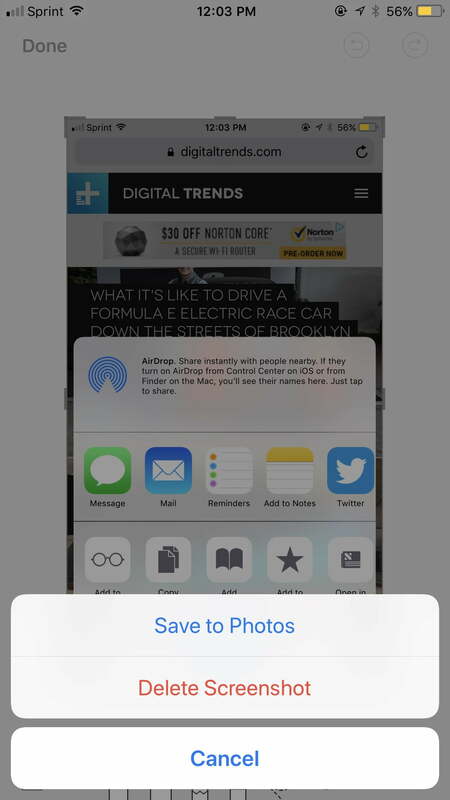 Apple also allows the grouping of screenshots in the thumbnail interface. You can select multiple screenshots by tapping and dragging on them with your fingers and move them into apps or share them. Apple Music offers much of what its competitor Spotify can do, but it was still missing two popular features: The ability to share playlists and the option to see what your friends are listening to. Beginning with iOS 11, Apple Music customers can now create a profile others may follow. When they do, they’ll see each other’s activity on the landing page within the app. In an ironic twist of fate, the new functionality harks back to Ping, Apple’s short-lived attempt at making iTunes a social experience nearly seven years ago. Playlist sharing is the other big addition, and just like on Spotify, users can set their playlists as private or public. Apple Music will also better integrate with Siri, so users can simply ask the digital assistant to play something they’ll like, and it responds with intelligent suggestions based on recently played artists and current listening habits. Apple has refused to bring Dark Mode to the iPhone for some time now, but a new feature in iOS 11 brings something very close to Dark Mode. 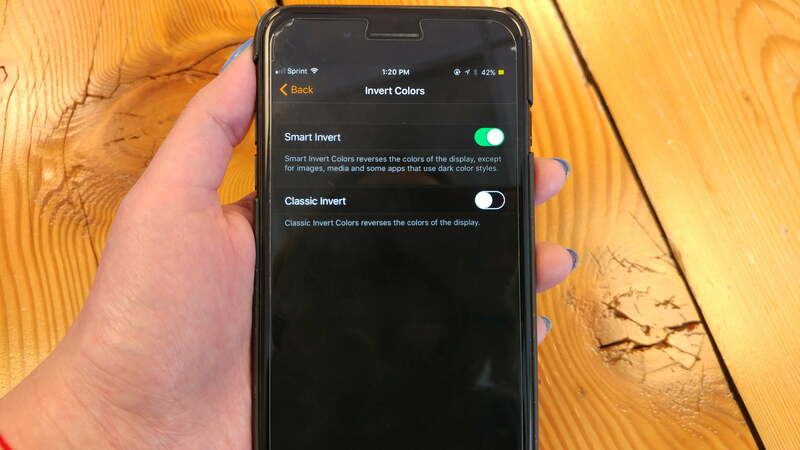 The feature is called “Smart Invert Colors,” and it basically involves the operating system inverting the colors on the display without inverting things like photos and videos. In other words, it’s a suped-up version of the old “Invert Colors” feature, which inverted all the colors on the display. Many, however, wanted to still be able to see their photos and videos without the colors inverted — which is where the “smart” comes in. While it may be a very small tweak, Apple opted to change the location of the volume indicator in iOS 11. 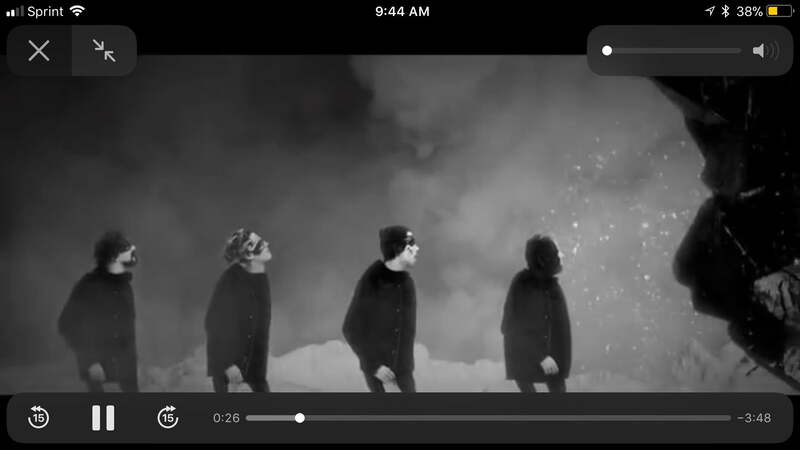 Rather than being located at the bottom of the display, the volume indicator can now be found in the top right of the display during video playback. One feature in iOS 11 that is still sure to please many, many iPhone and iPad owners is the inclusion of Wi-Fi sharing. Simply open Wi-Fi settings on your device and attempt to join a network. 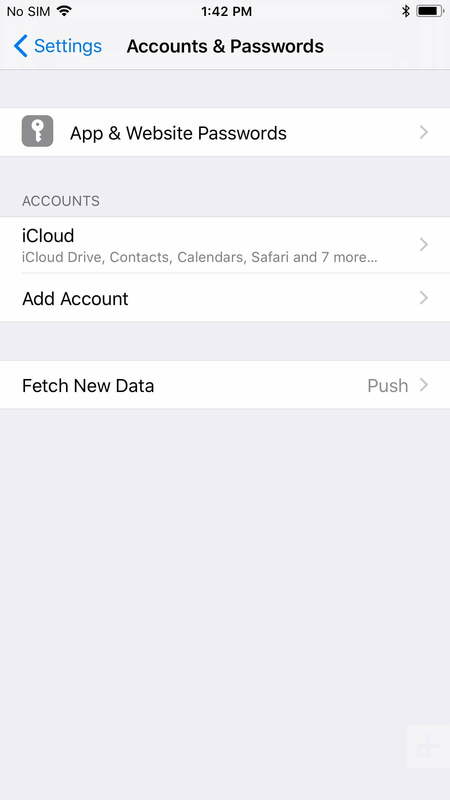 If you’re close to another iOS 11 device on that network, and that second device is unlocked, the user can grant you access without ever having to exchange passwords. In iOS 10, some apps that require your location are automatically given free rein to monitor it at all times, so long as you have location services turned on. This behavior caused some negative press for Uber when reports emerged in April that the popular ridesharing service was perpetually tracking users’ locations — in some cases even after they had deleted the app. Thankfully, changes to permissions in iOS 11 give users greater choice over how specific apps handle location tracking. 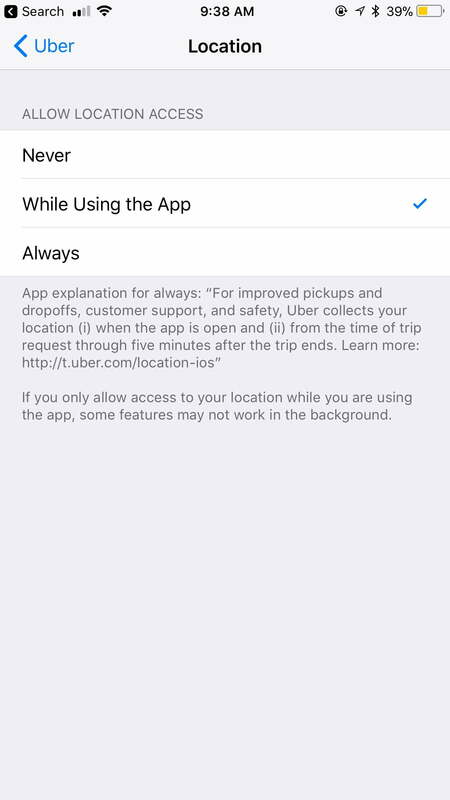 There is already a setting in iOS 10 to permit apps to view your location only while they are being used, but it is not available for every app. With iOS 11, users have the option to select this behavior for all apps. You can still leave location monitoring on in the background if you wish — which is especially useful for navigation — or turn it off entirely. Interacting with your iPhone on the road is also much safer in iOS 11 thanks to a new Do Not Disturb mode specifically made for drivers. Your iPhone reads Bluetooth connectivity status and movement to determine whether or not it is in a car and automatically silences notifications as you drive. With Do Not Disturb While Driving on, you will not be notified as new notifications roll in and your screen will stay off. You can also set it to auto-reply to messages to let others know you’re behind the wheel. If you are a passenger, you can easily bypass the feature. This change is more notable for what it takes away rather than adds. With iOS 11, Apple removed support for Facebook and Twitter accounts at the system level. Facebook had been integrated since 2012, and Twitter since 2011. Previously, adding these accounts would function as a single sign-on for other apps that might require them. In Facebook’s case, you could also sync your device’s calendars and contacts with your events and friends list. 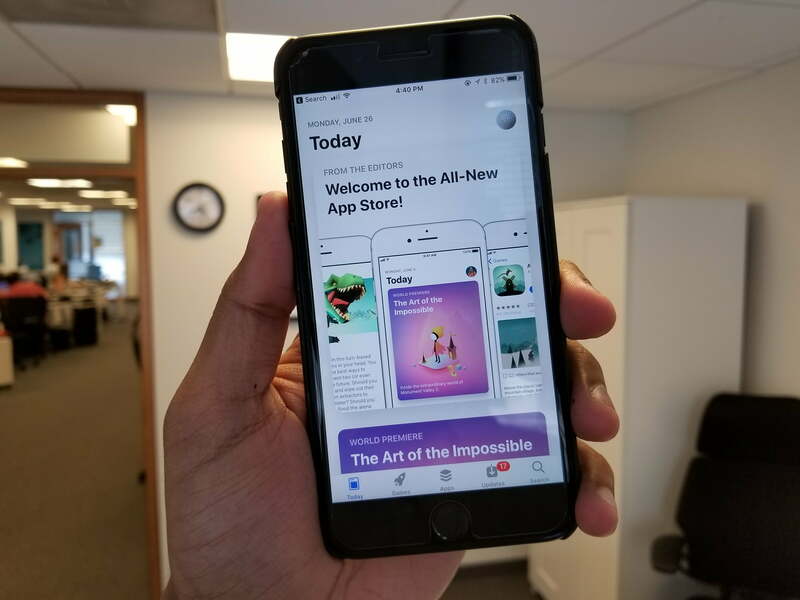 If you want to share a link or photo to these services, iOS currently has its own windowed interface that pops up above the content you are viewing, letting you fire off a quick post before returning to the previous app. Apple Pay is now capable of handling transactions between you and your family and friends. This works as an iMessage app that can be called upon in conversations, either through opening the app itself or via contextually-aware QuickType suggestions. The money you receive will land in an Apple Pay Cash Card that can be used as a payment method like any credit card in your wallet or transferred to a bank account. While it won’t be included in the initial release of iOS 11, it will be available in an update later in the fall. Speaking of iMessage’s app drawer, discovering and accessing your iMessage apps has been made a little easier. Apple says you can reach them in just one tap in iOS 11 — an improvement over the three taps that were necessary to call up the drawer in iOS 10. Conversations are also now better synchronized over all your devices thanks to iCloud message storage. There are also new bubble and text effects making their way to iMessage in iOS 11. Users can send their messages with an “echo” effect, which creates many identical texts behind it, or a “spotlight,” which pretty much does what it says. Siri has sharpened its language skills, which means more natural, conversational male and female voices for English users, as well as the ability to translate on the fly. At launch, the translation beta supported Chinese, French, Italian, German, and Spanish, with more languages to follow. It now includes new languages such as Brazilian, Canadian French, and Portuguese, among others. Siri has also become better at predicting your interests, and much more mindful of how you use your devices. For example, Apple’s Craig Federighi provided a demo on stage at WWDC where he visited an Icelandic travel site, and the iOS News app quickly surfaced stories about the country. You can also type to Siri, by heading to Settings > General > Accessibility > Siri and toggling the Type To Siri option. This will brings up the keyboard as soon as you press and hold the home button, but you can still use the “Hey Siri” phrase to activate the assistant with your voice. With iOS 11, Apple is focusing on augmented reality in a way it never has before. The company’s ARKit will standardize and improve AR functions across apps that use them, thanks to improved motion tracking and ambient light awareness. This means however you interact with AR — even if you just kill time with Pokemon Go, for example — everything should look better and move more naturally. Improved 3D modeling and animations take your surroundings into account more realistically, better integrating AR creations into your world. Read more about ARKit. In addition to the Amazon Echo-competitor — the HomePod — Apple announced the second generation of Airplay. Airplay 2 offers multi-room audio via iOS 11 that can be controlled through the Home app, Control Center, or Siri. This allows listeners to select different Airplay-supported speakers, along with third-party applications, to play music at the same time. The multi-room audio function is also integrated with Apple TV. You can read more about Airplay 2 in our guide. 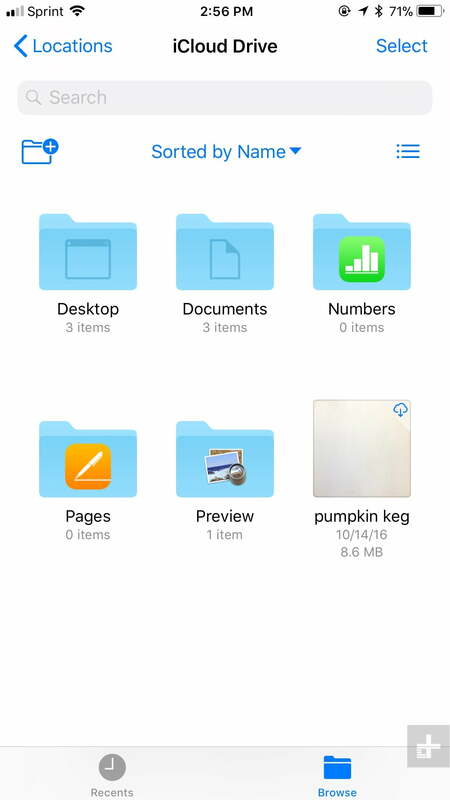 Files, a new app available for iOS 11, is a file management system that keeps all your stored documents together in an organized manner on both your iPhone and iPad. Even if you use third-party services like Dropbox or Google Drive, Files allows you to conveniently access and keep track of them all in one app. We explore the Files app in greater detail here. 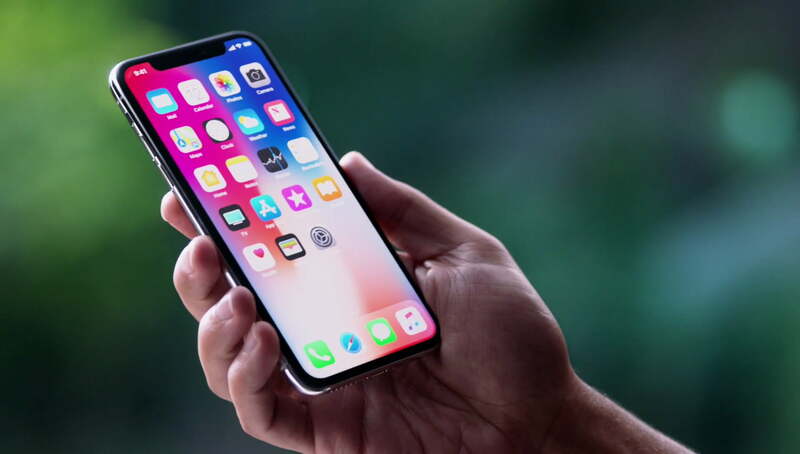 With the iPhone X comes a new feature called Face ID, also known as facial recognition. The TrueDepth camera system allows you to unlock your phone by simply glancing at the lock screen. Even if you dye your hair a different color or grow a beard, Apple claims it won’t be confused since it stores face data in the secure enclave of the chip, with protections against masks and picture in place. It also works for Apple Pay, requiring you to look at the phone when it’s time to make a payment. Any existing apps that would normally use Touch ID for authentication now use Face ID as well. 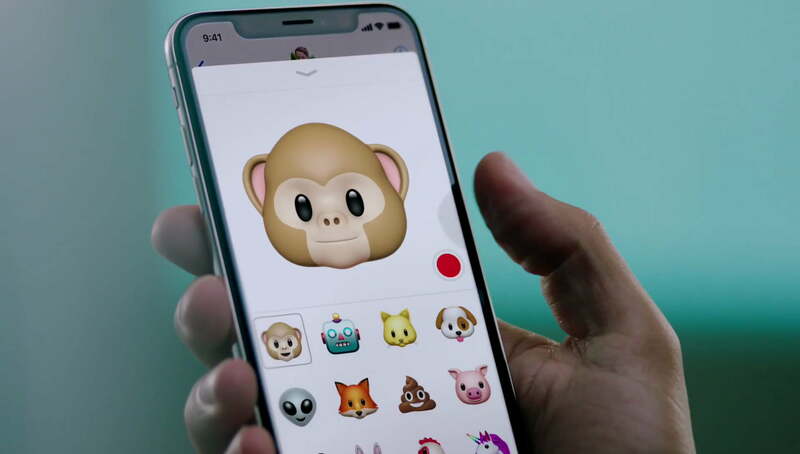 Another Face ID-powered feature is Animoji, which Apple describes as “custom-animated messages that use your voice and reflect your expressions.” It’s available as a pre-installed app inside iMessage once you download iOS 11. The app captures and analyzes more than 50 facial muscle movements and mirrors your expressions, such as when you smile or raise your eyebrows. With a dozen different character options like the unicorn, dog, and even poop emoji, you can record messages using your voice and send them to play on a loop for the recipient. You can also watch the animation in real time and edit it through full-screen mode. For more useful ways to use iOS 11, check out our iOS 11 tips and tricks. Update: Added indoor maps to the list of iOS 11 features.